WD a Western Digital Company launched the WD My Book Duo in India on June 25, 2014. My Book Duo is the latest desktop storage solution for home and office work by WD. It runs two WD hard drives simultaneously connected via hardware level RAID technology with massive storage capacity. It comes with USB 3.0 connectivity for faster access and with free software that creates secure local, cloud and system-level backups for complete data protection. My Book Duo’s dual-drive design offers superior performance with RAID technology allowing up to 290 MB/s transfer speeds. 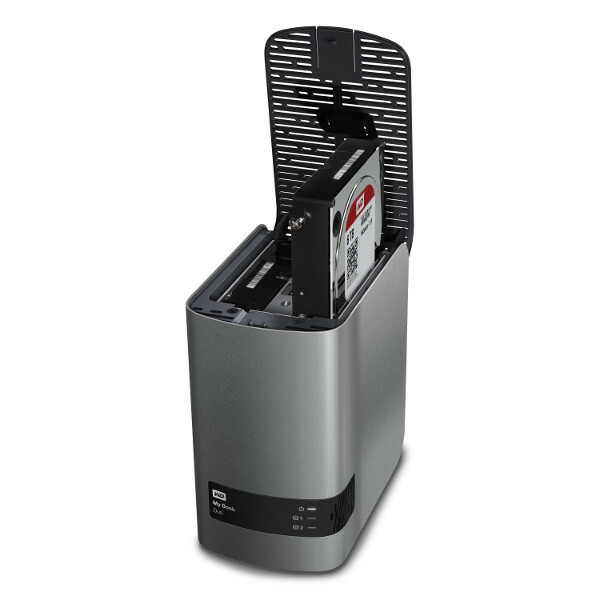 Optimized for RAID 0 and RAID 1, the integrated WD Red Drives increase performance and reduce data bottlenecks. Providing software solutions it also allows complete data protection with WD Smartware Pro backup and Acronis true Image software. It comes with 256-bit AES hardware encryption and password protection. It also has a USB hub on the back for more charging or data transfer. Pricing for My Book Duo is INR 20,000 for 4 TB, INR 25,000 for 6 TB and INR 31,000 for 8 TB. My Book Duo comes with a two-year limited worldwide warranty and is expected to be available in India from the last week of August 2014.